Have you ever sat and thought about the great strength and courage of Ruth, Naomi’s daughter-in-law? In Ruth 1:1-5, we learn that Naomi’s husband, Elimelek, dies and leaves her as a widow with two sons. Her sons marry Ruth and Orpah, Moabite women. Now, after a few years Naomi’s sons die also. Typically, in that time the two daughters-in-law would leave their mother-in-law and go back to their original homes and wed another man. This is where the story gets interesting. Naomi was alone. Her whole family had died and she had no one to care for her. Going back to Judah alone would mean begging on the streets. It would mean she would have to struggle greatly to find food and shelter. She had become bitter about her life because of the losses she had experienced. But, Ruth courageously stepped up to the plate to care for her aging and lonely mother-in-law. Ruth would have been in the right if she would have left Naomi to fend for herself. Ruth loved Naomi so much so she was willing to go and die if necessary. Ruth tells Naomi she will go with her and be her family. What a huge sacrifice for Ruth! She was going to a foreign land with a woman whom she had no relation to. What an amazing act of love! Ruth obviously cared greatly for Naomi. How scary it must have been for Ruth to do what she did! That is why it’s so courageous. Ruth refused to leave Naomi and God greatly blessed both of them for their faith. When Naomi and Ruth arrived in Bethlehem they needed food to eat. So, Ruth goes out into a field and starts gleaning the leftovers the harvesters didn’t get. We discover in Ruth 2:3, the field she was gleaning from belonged to Boaz, a relative of Naomi’s deceased husband. Boaz is so gracious to Ruth and tells her to take what she needs and to not go to any other field. Naomi sees that there may be a match “made in heaven” between Boaz and Ruth. So, she plays match-maker. Ruth and Boaz eventually got married. The Lord blessed them with a son. Do you know who that son was? Jesse, the father of David. Yes, the same David who would eventually become King of Israel. God’s plans are sometimes so hard to see but thankfully His plans are to “prosper you and not to harm you, plans to give you hope and a future.” (Jeremiah 29:11). His plan for Ruth to marry Boaz was perfect. His timing was perfect. He planned the lineage of Jesus perfectly. Ruth’s courage to go with Naomi is a huge part of history. Not only did she gain a wonderful mother-in-law but also a husband who loved the Lord. God also blessed her immensely with a son who would become the father of a King. 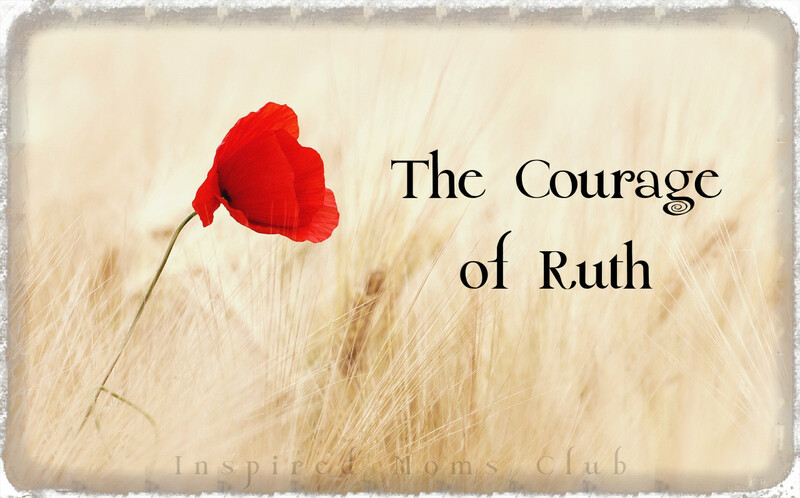 Without Ruth’s brave and strong faith the story would have been so different. Love the story of Ruth and Naomi! Such great truth and the picture of God reaching into a pagan society, and picking Ruth for such an important role in His story is beautiful! Exactly what He does for each of us! Thanks for the post!